This entry was posted in Art, collage, vegetarianism. Bookmark the permalink. I love it! 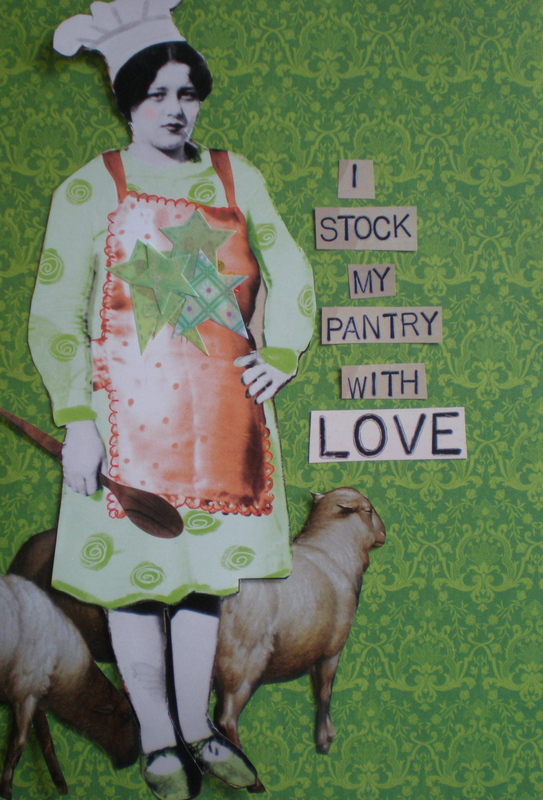 Everyone should stock their pantries with love. Thank you. I couldn’t agree more. Animal cruelty is just one more form of horrific violence humans participate in.